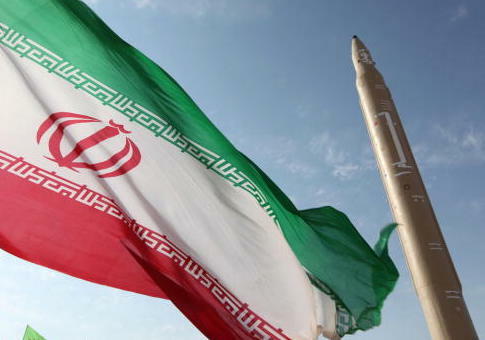 WASHINGTON (Reuters) — The United States on Thursday sanctioned five Iranian-based entities it said were owned or controlled by an industrial firm responsible for developing and producing Iran‘s solid-propellant ballistic missiles. "These sanctions target key entities involved in Iran's ballistic missile program, which the Iranian regime prioritizes over the economic well-being of the Iranian people," U.S. Treasury Secretary Steven Mnuchin said in a statement. The Treasury Department said the five sanctioned entities—the Shahid Eslami Research Center, Shahid Kharrazi Industries, Shahid Moghaddam Industries, Shahid Sanikhani Industries, and Shahid Shustari Industries—were subordinated to the Shahid Bakeri Industrial Group. The sanctions freeze any property the entities hold in the United States and prohibit Americans from dealing with them. This entry was posted in National Security and tagged Iran, Sanctions, Steven Mnuchin, Treasury Department. Bookmark the permalink.